Droom Flash Sale On Helmet: Droom Online Motorplace Has Come Up again With Flash Sale On Helmet. Under Which You Will Get Motor Bike Helmet Worth Rs 950 At Just Rs 99 Only On 10th April @ 11 AM. Follow Below Steps To Claim Your Rs. 99 Helmet From Droom Helmet Flash Sale. Droom Reserve the Right to Cancel Your Order Without Explaining Any Reason (S). 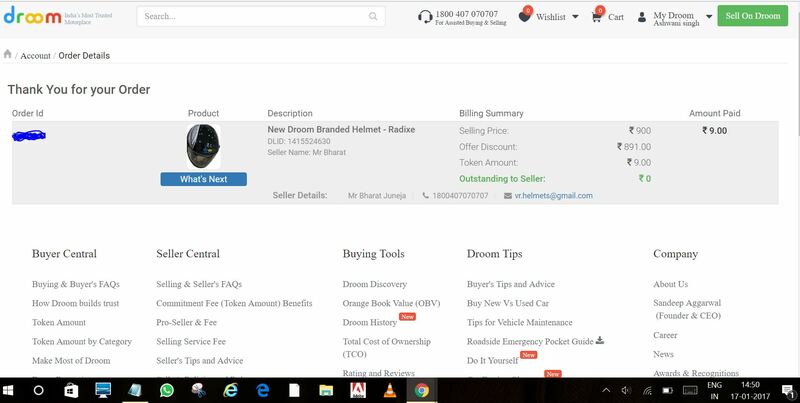 Any Illicit Means by placing multiple orders with single registered e-mail address result in disqualification from the "Get Set Helmet"
How To Shop Helmet From Droom?